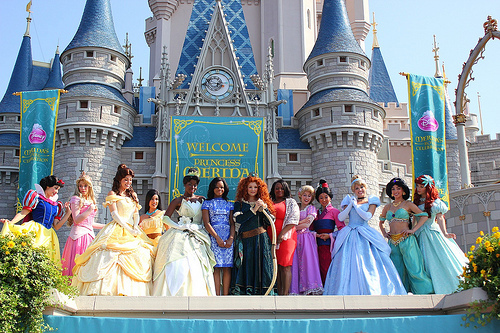 This weekend Princess Merida was introduced to the royal Disney Princess Court. Congrats! Watching this makes me so much more excited to run as Merida next weekend! This year has been the year I decided to become more holistically strong, not just a runner. In college, since I had to run on a treadmill most of the year (thank you Syracuse winters) the mats and weight equipment was right there, staring at me, so it was hard to avoid. Then I left college and moved to sunny pastures (Florida then California) where the great outdoors was there and waiting for me! Beautiful sunshine and few rainy days meant I run outside all the time. However, it also meant that I put in less time to weight and strength training. Without the mats and weights staring me down, strength training took a backseat. This year, I’ve been making a bigger effort to do core strengthening and upper body strengthening. It’s all about the little things. It’s going well, I do feel strong, and it’s nice to have a strong stomach/back. Planking is my friend and I can now say I can get myself through 25 consecutive push-ups (real push-ups, not knee push-ups) which is something I’ve never been able to do before. My core training has been thanks to many a free video workouts onling. I’m a huge fan of free workout videos on YouTube and Hulu. It’s really amazing! Want a good 10 minute workout? They've got it. Want a nice yoga routine? Yep, found that too. Really, any free workout routine is a quick search away! The best part is, if you don’t like the workout (either exercise routine or the intensity) do another quick search and BAM! New workout that’s perfect for you! The internet is an amazing place, so don’t shy away from it when looking for a quick workout routine. No gym membership or trainer necessary! Stay tuned! 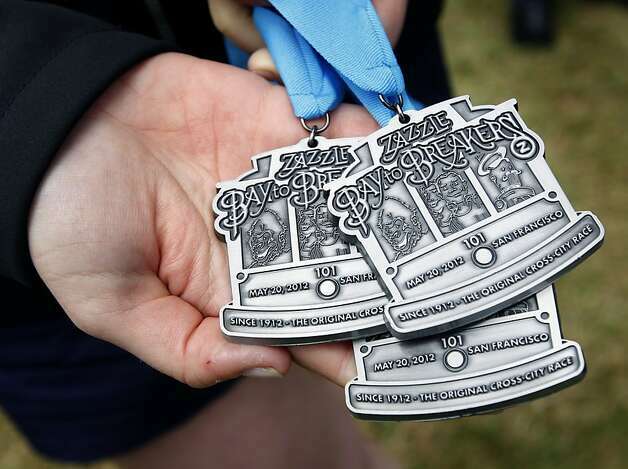 Next week I’ll be reviewing Bay to Breakers in San Francisco! Will I have finished my Merida costume in time? Will I choose my fate and run with the wind? Will having my hair down while running drive me crazy? Only time will tell.